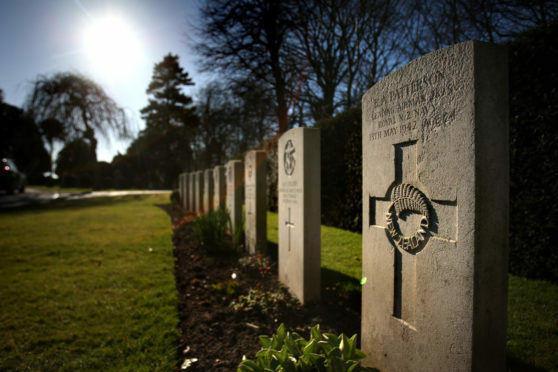 The graves of the fallen airmen at Arbroath's Western cemetery. 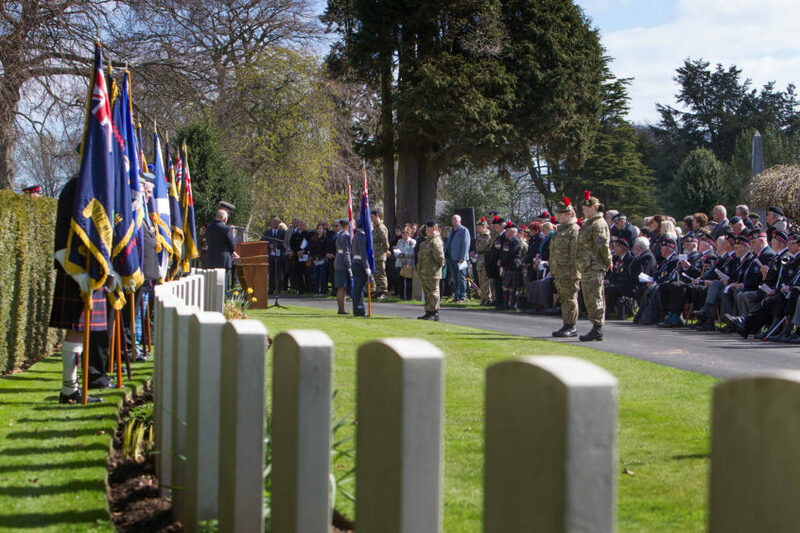 Twenty years on from first staging the commemoration, Arbroath’s Western cemetery will host one of Scotland’s most significant ANZAC ceremonies, at the final resting place of four New Zealand airmen who perished thousands of miles from home. Sunday morning’s service will feature the heartfelt words of New Zealander Peter Leslie, the founding chairman of the New Zealand Society Scotland, which in partnership with the Arbroath branch of the Royal British Legion Scotland has ensured the ultimate sacrifice of Australian and New Zealand service personnel is remembered as part of a global tribute each spring. The Angus ANZAC commemoration began in Forfar, but moved to Arbroath when Mr Leslie learned of the graves of his countrymen there. On the north side of the graveyard, the closest part of the cemetery to what is now the RM Condor headquarters of 45 Commando but was firstly a Fleet Air Arm base, are the memorials to the airmen who lost their lives while stationed in Angus. Less than a year after leaving his rural home to be trained for the Fleet Air Arm, Brian Patterson from New Zealand’s North Island died in a plane collision 600 feet above the Angus town. Jim Drake — the third child of a Gallipoli veteran — crashed his Spitfire on a training flight near Barry. Richard Chettle volunteered for the Royal NZ Air Force in 1940 but also perished in an Angus training exercise, and the final airman buried at Arbroath is Frederick Batten, an experienced flyer who trained in the US before completing a number of operational missions, only to die in a non-operational flight. After a spell in Angus which he remembers with deep affection, Mr Leslie has now returned to his homeland, but in a message to be read to the gathered company this weekend will also pay tribute to Perth’s Ereti Mitchell, president of the NZ Society Scotland, Arbroath Legion and the personnel of 212 Battery Royal Artillery, who will deliver the ANZAC gun salute. 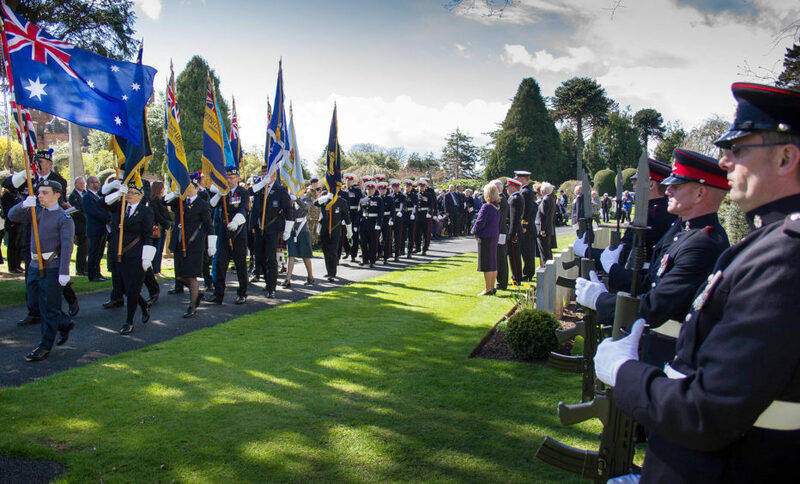 Taking the salute will be Angus Lord Lieutenant, Mrs Georgiana Osborne, herself a New Zealander, who has encouraged people from Angus and beyond to participate in the ceremony, which gets under way at 11.30am on Sunday. traditionally held on the nearest Sunday to the anniversary of the 1915 Gallipoli campaign, when the Australian and New Zealand Army Corps suffered an appalling loss of life after the Turkish landings. Also known as the Dardanelles campaign, the near year-long conflict cost an estimated 100,000 lives, more than 10,000 of those ANZAC personnel.